Super-fine feed attachment. 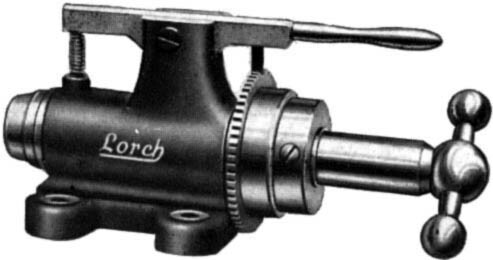 This accessory was described as having a "Planetary Gear Train" - built into the large gearwheel on the end of the leadscrew. 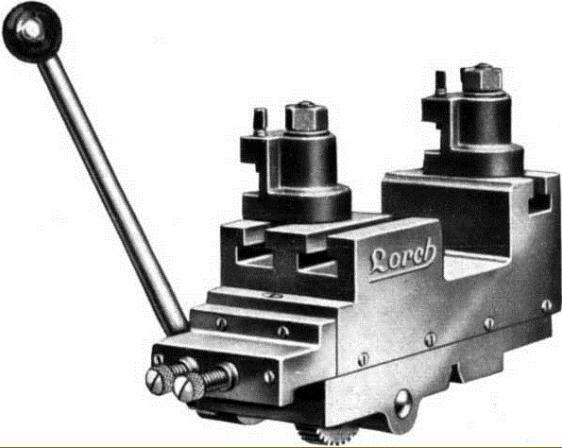 This accessory could be retrofitted to the LLRG, LAN, AVRG, BVIRG and BIIP screwcutting and leadscrew lathes. Simple cut-off toolslide No. 5t with twin tool holders and front and back adjustable stops. Grinding Attachment No. 6a designed to fit on a lathe cross slide and carry a 100 mm diameter grinding wheel. 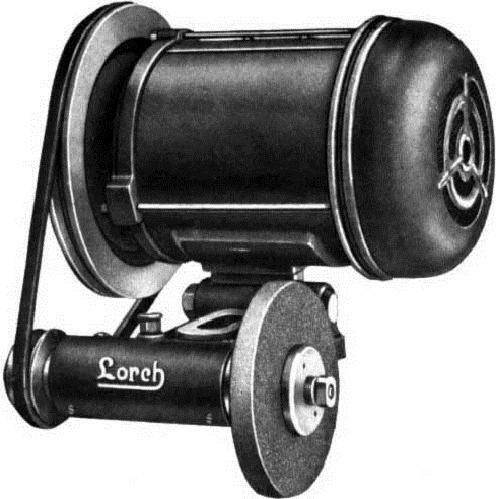 The 10 mm bore spindle ran in adjustable hard-bronze bearings. 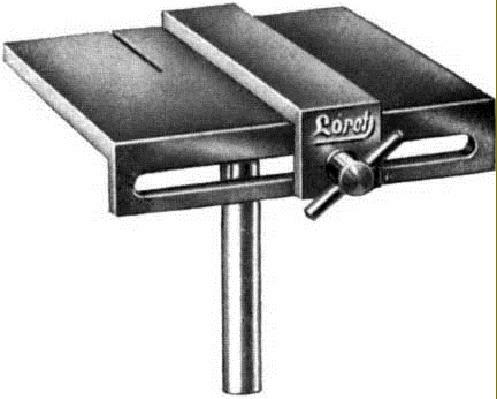 Toolpost Grinder No. 6B for fitting to a lathe cross slide. 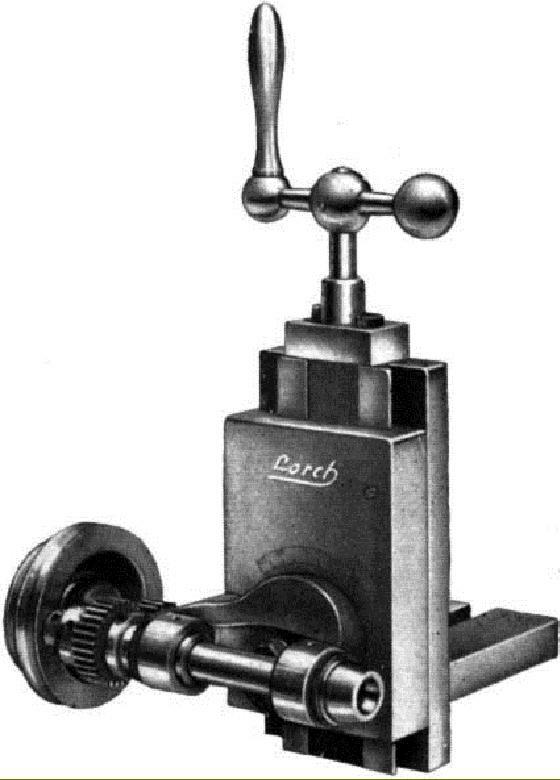 The spindle, mounted on a swivelling arm, ran in adjustable bronze bearings and was driven from the AC motor by a V belt. 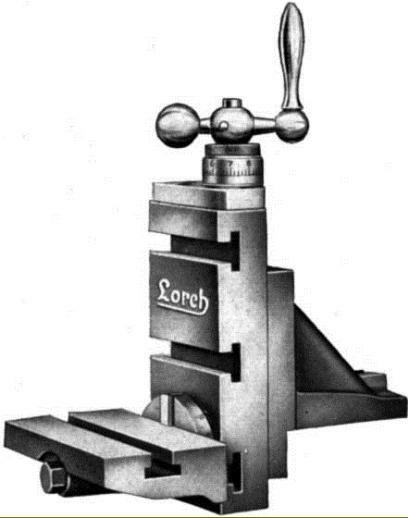 Vertical Milling Attachment No. 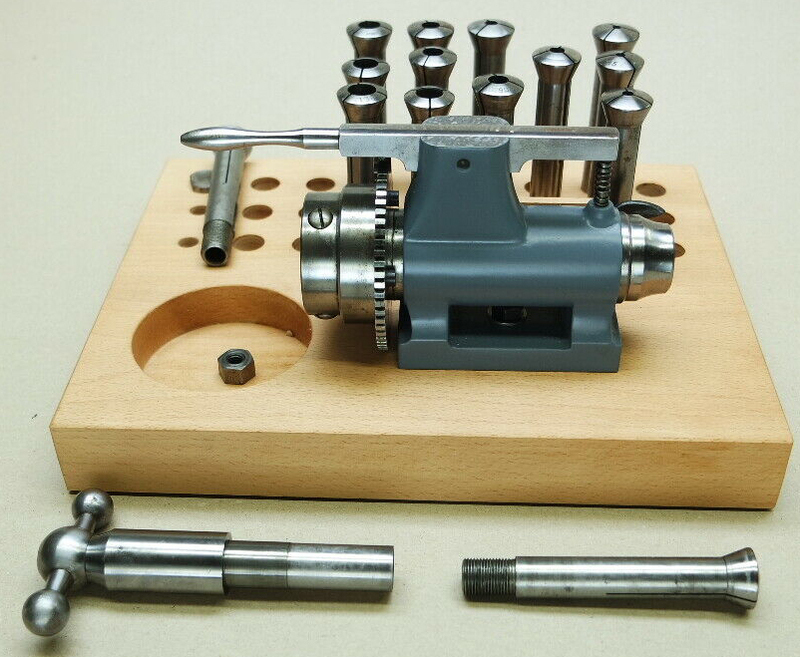 7 with the capacity to accept collets having 8 mm diameter shafts. 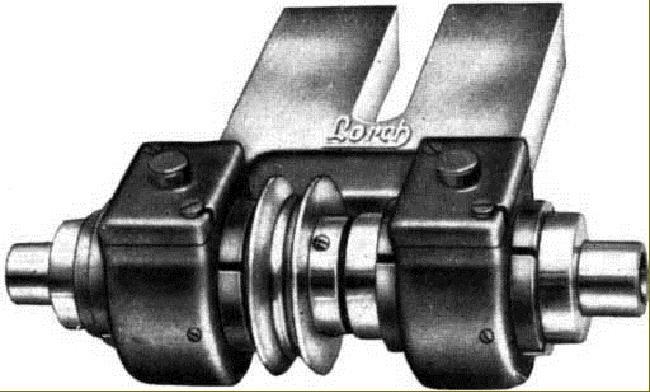 Four designs of Vertical and Horizontal Milling Attachment ( Part Nos. 7, 71/2, 7a and 7b ) were available to fit the standard vertical slide. Grinding Attachment No. 6 for cross slide fitting. 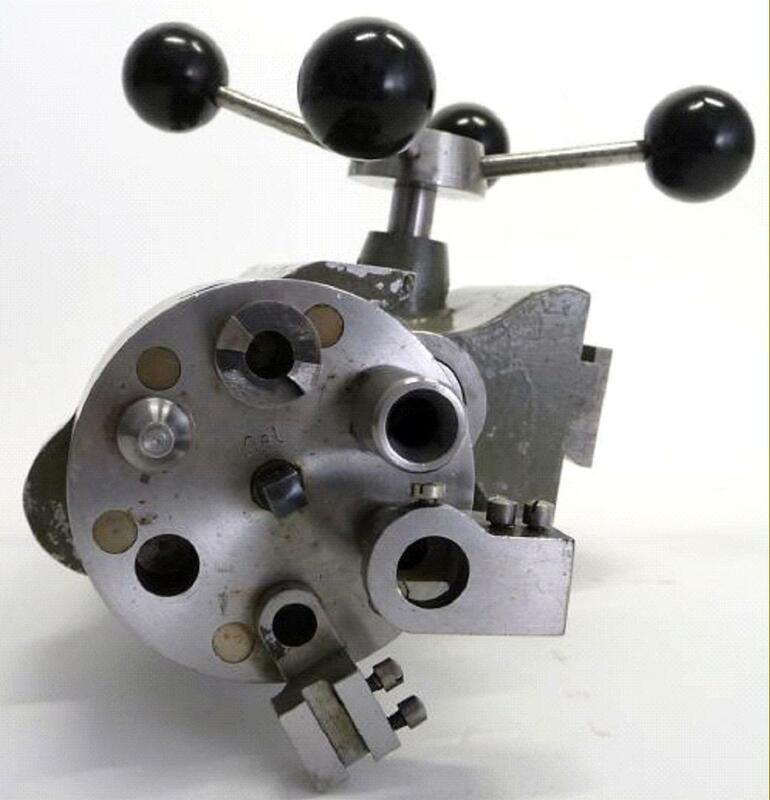 The 8 mm bore spindle ran in "glass-hard" steel bearings and carried an 80 mm diameter grinding wheel. 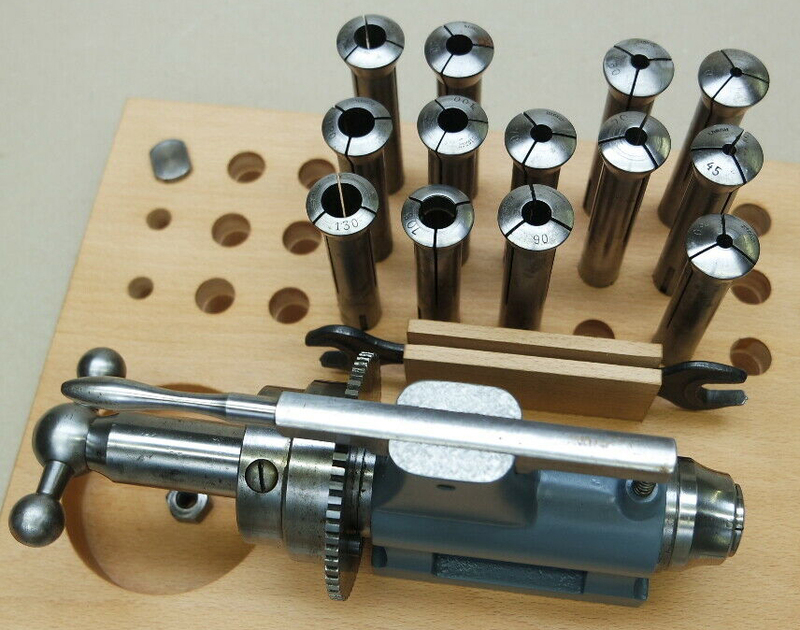 With the capacity to accept collets with 8 mm diameter shafts. Milling Attachment No. 71/2 designed for both horizontal and vertical mounting. 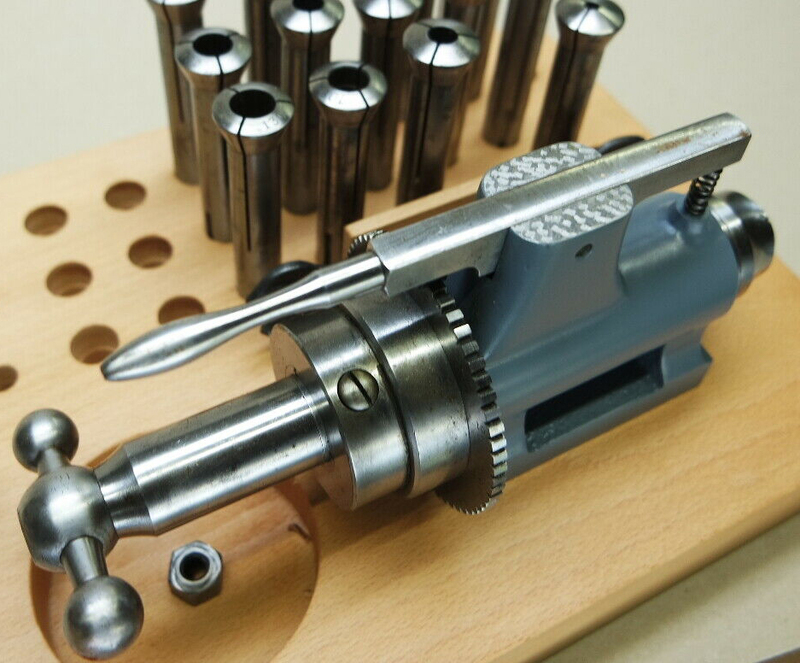 8 mm collet capacity. 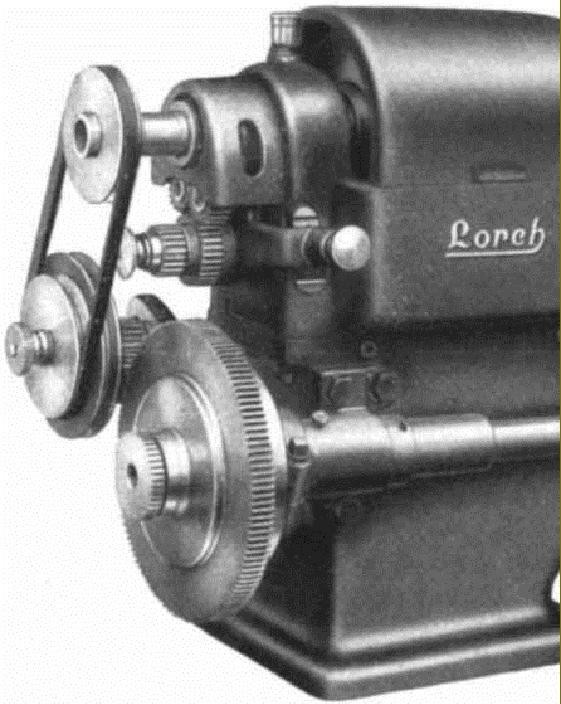 Horizontal Milling Attachment No. 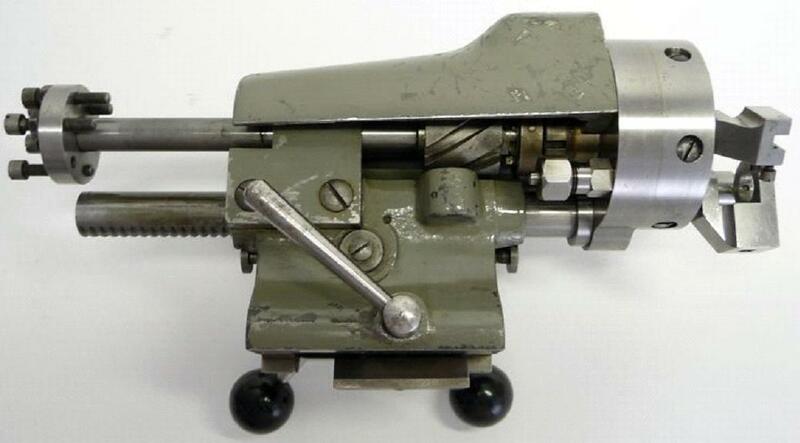 7a with geared drive and the capacity to accept collets with 10 mm diameter shafts. Accessory No. 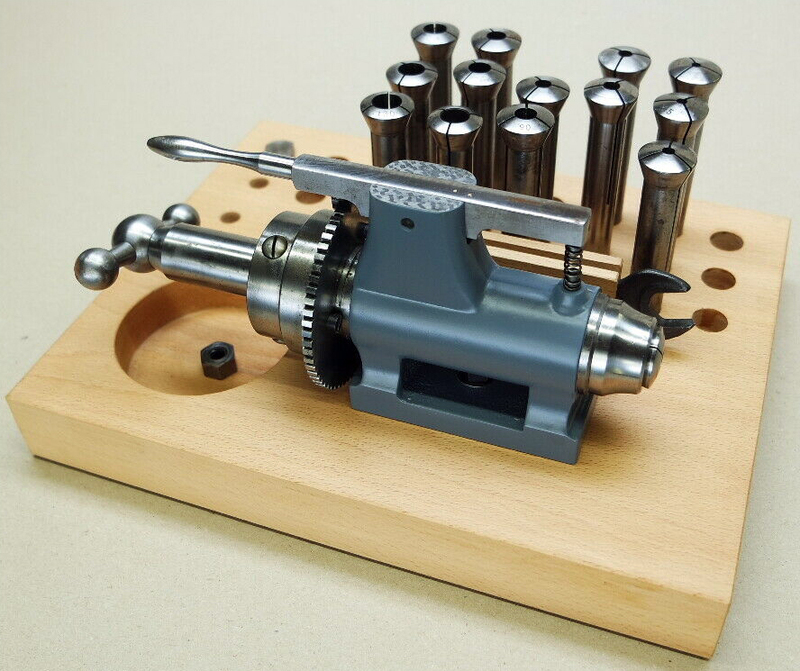 20 the Universal 4-jaw Independent Chuck with hardened, reversible steel jaws. With the jaws removed it could also be used as a faceplate. Part No. 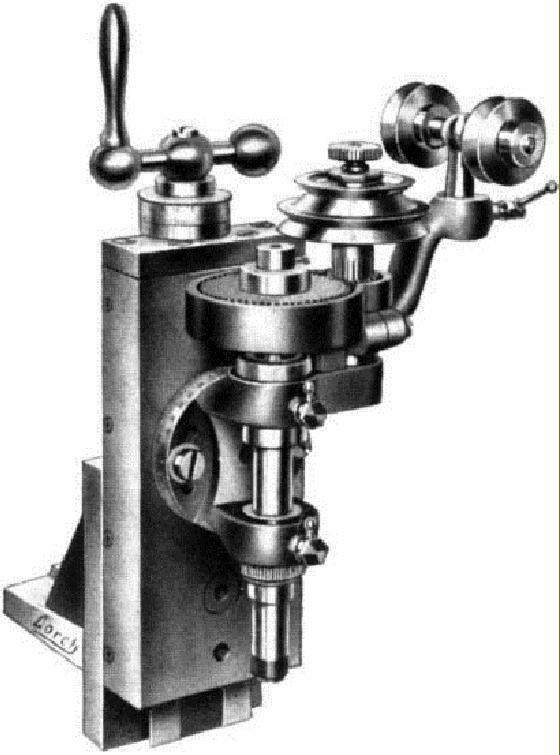 24a - a 6-station, self-indexing Capstan Head and cross slide unit. 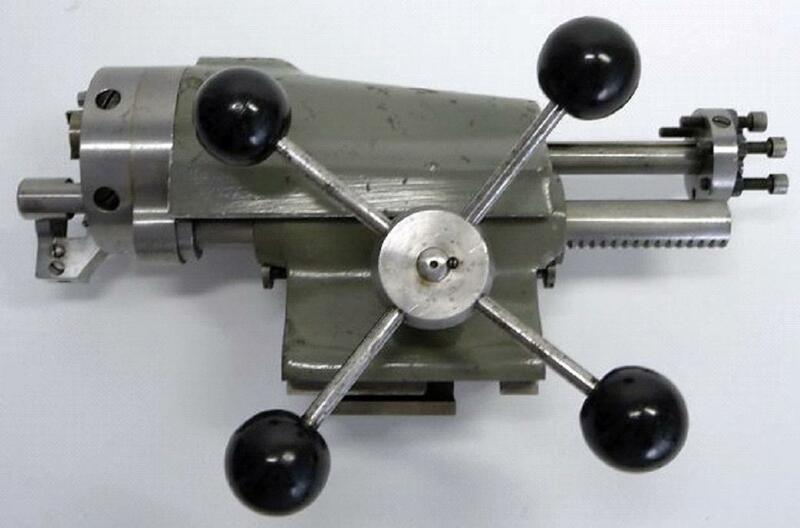 Tailstock with twin barrels which indexed into position. 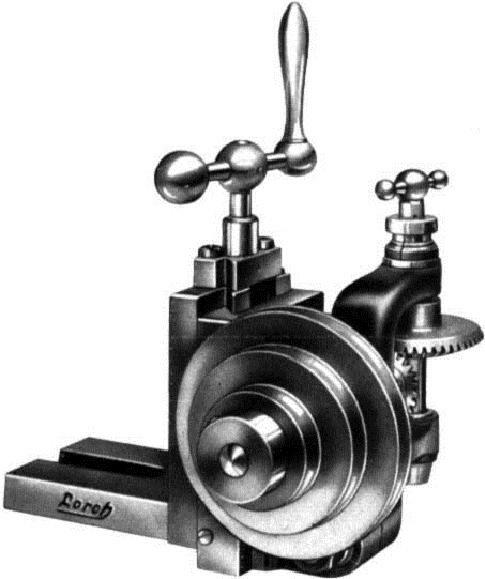 The superb, 6-station, self-indexing Capstan Tailstock No. 24f. 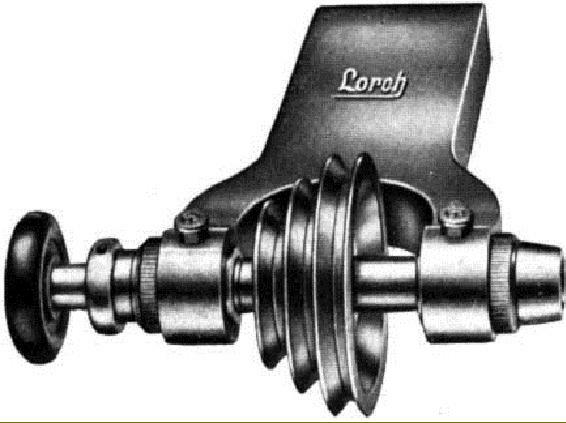 Intermediate Countershaft No. 24 (with ring-lubricated plain bearings) to drive grinding and milling spindles on the vertical and cross slides. Countershaft No. 53 with 200 mm grooved pulley for driving the high-speed grinding attachment No. 6. Countershaft No. 84 designed to power the LLV-LAS, AIIP, BP and BVIP lathes. 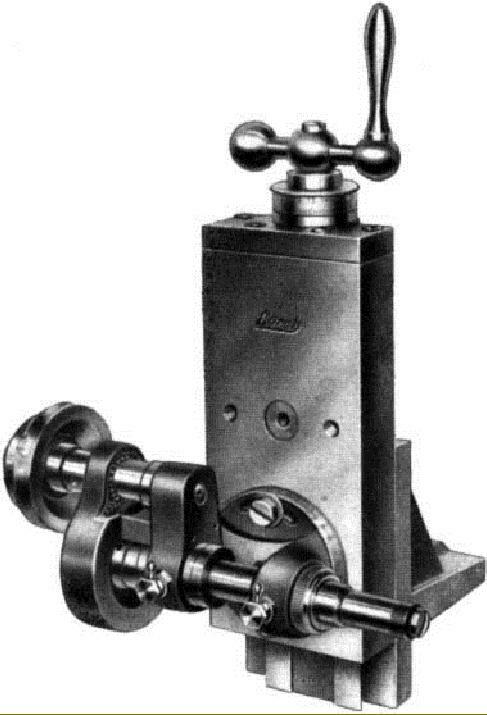 Ball-bearing Countershaft No. 39a with grooved pulley 40a (for accessory drive). The same countershaft on plain bearings was Part Number 39.